Property Description: This property will be offered via public auction on Saturday October 13th at 12:00pm. 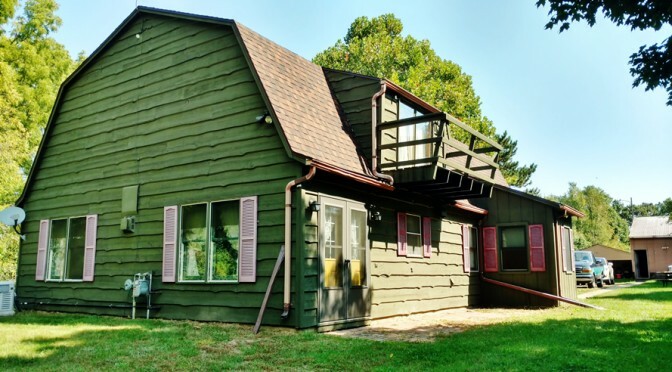 This property features a 1890 sq ft home, outbuildings, Several acres of open area. Auction Terms:A 10% buyer’s premium will be added to the final bid on all real estate transactions. $10,000 non-refundable deposit due on sale. Balance paid in full within 30 days. Purchaser must sign sales agreement day of sale. This real estate offered ‘as is’ with no contingencies. Real estate offered by legal description. Seller to furnish title insurance and warranty deed. Property offered free and clear of liens, encumbrances, and back taxes, if any. Taxes will be pro-rated to the day of closing on a due date basis. Property is offered subject to confirmation of the seller. Sq. footage is estimated, buyer to verify. Directions: Directions: US 131 to Martin exit (55), West appr. 1/4 mile to auction.